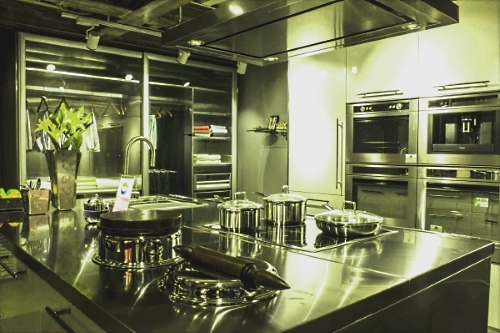 Stainless steel is nothing new for the people in Chennai but arttd’inox’s first store in the city will offer the people luxury stainless steel cutlery and modular kitchens. Stainless steel utensils are an old favourite with Chennaites, and now arttd’inox, the more than a decade old brand from Jindal Stainless Limited, is bringing to the city their high-end dinnerware and modular kitchens in luxury stainless steel. The brand’s first franchise outlet, it is divided into two zones, where on one level are kitchens, dinnerware and home décor products from arttd’inox and the second level stocks home furnishings such as bed linen, cushions, mirrors, photo frames etc. from beau maison, a French company. arttd’inox’s modular kitchens are the first 100% stainless steel modular kitchen brand in the world. The brand has tie-ups with brands like Siemens and Whirlpool for appliances, Franke for sinks and Hettich for fitments. Modular kitchens from arttd’inox start at Rs. 6 lakh. Some advantages of these stainless steel kitchens over other kitchens are that they are resistant to water and corrosion, are easy to clean, are pest and termite proof, and are also free of issues like chipping laminate and sagging cabinets (a common problem when wood is used). 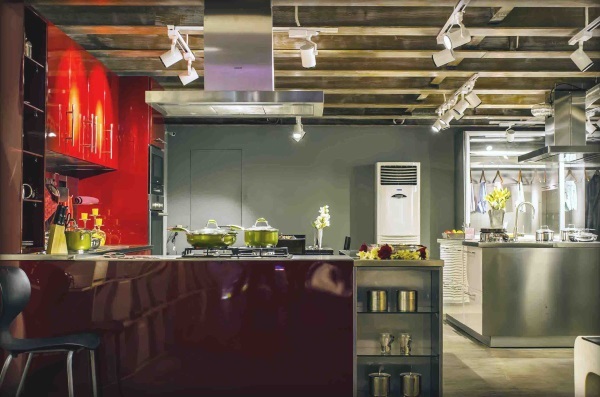 This store in Chennai is arttd’inox’s fifth store offering premium modular kitchens from the brand. It is located on Khader Nawaz Khan Road, Nungambakkam. The company plans to open 6 more stores by end of this year in Hyderabad, Cochin, Jaipur, Indore, Pune and Ahmedabad. Recently arttd’inox had launched a range of tea and saucers inspired from nature. You can read about it here.